I often find myself saying these expressions. 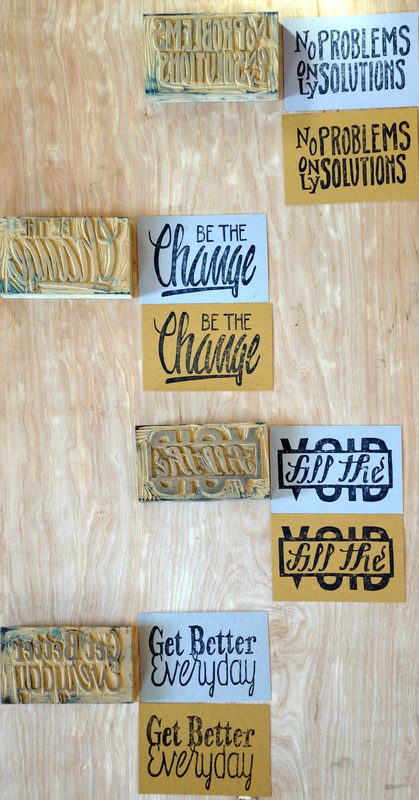 A collection of letterpressed lino prints. They characterize my attitude towards design and life in general. They symbolize my endeavor towards being a better person and creating a better future. They reflect my appreciation for craft and producing tangible collateral.